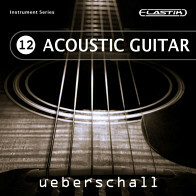 Ueberschall presents Acoustic Guitar 2, a library of top-class acoustic guitar performances that are perfect for singer-songwriters and music producers to build their next hit around. 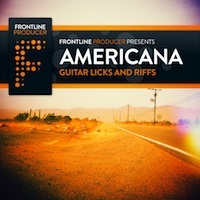 Featuring beautifully recorded 6-string and 12-string acoustic guitars, the library is structured around a large collection of musical themes. The sounds are crisp and full and will slot into any mix with a minimum of effort to provide that perfect acoustic guitar sound. 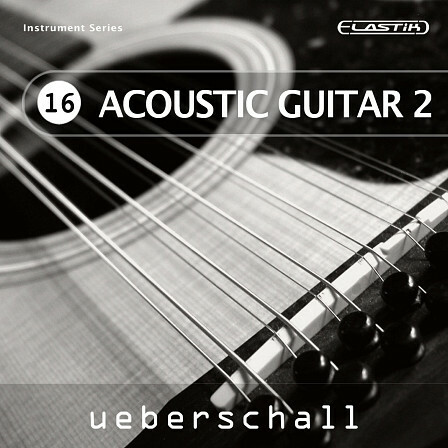 If you want an instant slice of acoustic inspiration, Acoustic Guitars 2 is the ideal source. Within each theme, three related guitar performances are presented and, for each performance, five separate loops are available based upon a pre-mixed version featuring all guitars, two 6-string guitars panned left/right, two separate 12-string guitar performances and two additional 12-string guitars panned left/right. The styles span classic singer-songwriter, pop and acoustic rock. All of these different performances can be mixed and matched, allowing you to strip an arrangement back to a single guitar to create a full bed of acoustic guitars with great stereo depth. 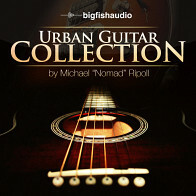 Acoustic Guitar 2 includes 1.19 GB and 543 Loops between 120 and 148 (74) BPM. The organic recorded licks are a source of inspiration. All licks in Acoustic Guitar 2 are available as dry versions. For fast use there is also a mixed version included. 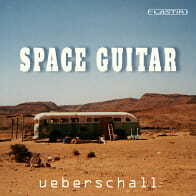 This version compiles the four guitars and creates a wide panorama that is 100% mono compatible. For more flexible use this library offers a folder of Up- and Downstrokes. Thanks to the long decay, these samples can be used in various ways, for example to extend existing or create new licks. 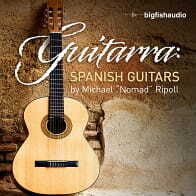 The idea behind Acoustic Guitar 2 is a library with calm background phrases that fit perfectly as accompaniment. All licks can be used in many different song structures or musical projects, whether you use them for song production, web applications, movie scoring, game audio or other multimedia projects. In addition, the Elastik player allows adapting the guitar loops to your current song project in speed and pitch. Ueberschalls Elastik-Player is the perfect tool for loop-based music production. The intuitive browser manages all Elastik libraries for immediate access to all loops. This way, not only loops of Acoustic Guitar 2 but of all installed Elastik libraries can be combined freely. Note: The drum loops used in the audio demo are not part of the library. They simply demonstrate possible applications of the library‘s licks. The Following End User License Agreement is included with Acoustic Guitar 2. This License is only valid for the individual who has purchased an unopened, new and lawfully made copy of Acoustic Guitar 2 from a dealer or distributor authorized by Big Fish Audio. NOTICE TO USER: This is a contract. By installing this software and sounds, you accept all the terms and conditions of this Agreement. This copy of the software is licensed to you as the end user. Please read this Agreement carefully. This License Agreement accompanies an UEBERSCHALL computer software program and sounds and its documentation and other related explanatory materials (collectively, the "Software"). In addition to the program and the documentation, the term "Software" shall also include any upgrades, modified versions or updates of the Software licensed to you by UEBERSCHALL. ALL USE OF THIS SOFTWARE IS SUBJECT TO THIS LICENSE AGREEMENT. BY CLICKING ON THE 'ACCEPT'-BUTTON BELOW, YOU ARE AGREEING TO ALL THE TERMS AND CONDITIONS OF THIS AGREEMENT, AND CONSENT TO BE BOUND BY AND BECOME A PARTY TO THIS AGREEMENT. IF YOU DO NOT AGREE TO ALL OF THE TERMS OF THIS AGREEMENT, CLICK THE 'DECLINE'-BUTTON AND YOU WILL NOT HAVE ANY LICENSE TO ANY PART OF THE SOFTWARE. UEBERSCHALL'S ACCEPTANCE IS EXPRESSLY CONDITIONED UPON YOUR ASSENT TO ALL THE TERMS AND CONDITIONS OF THIS AGREEMENT TO THE EXCLUSION OF ALL OTHER TERMS; IF THESE TERMS ARE CONSIDERED AN OFFER BY UEBERSCHALL, ACCEPTANCE IS EXPRESSLY LIMITED TO THESE TERMS. Subject to the terms and conditions of this Agreement, UEBERSCHALL hereby grants you a non-exclusive license to use the computer software program in machine executable object code only, and only in accordance with the applicable end user and technical documentation provided by UEBERSCHALL. All rights not expressly granted herein are reserved. a) use the Software on one computer only at a time. b) make backup copies of the Software (but not the manuals or other material in the package) solely for archival purposes. All copies of the Software authorized under this Agreement shall reproduce and display fully all UEBERSCHALL copyright notices and other proprietary legends. c) copy or use the Software except as specified in this Agreement. d) modify, reverse-engineer, disassemble, decompile, translate or reduce the Software to a human perceivable form. e) sub-license, resell for profit, lend, rent, lease or otherwise distribute the Software or any portion of the Software. f) remove, obscure, or alter any notice of the UEBERSCHALL copyright or other proprietary legends on the Software. g) transfer the Software to another person or entity, except that, after written notification to UEBERSCHALL, you may transfer all of the Software, including this Agreement, to another party who agrees to abide by the terms and conditions of this Agreement. This License does not specifically entitle you to any updates, enhancements, or improvements to the Software. UEBERSCHALL may release these at times, and from time to time, at its sole discretion. 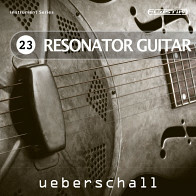 The Sound Library and the Software of this product remain the property of UEBERSCHALL (Licensor) and are licensed, not sold, to you for use on your sampling and harddisc-recording equipment. The right to use enclosed samples, loops, sounds and software is granted to the original end-user of the product (Licensee) and is NOT transferable. UEBERSCHALL reserves any other rights not expressly granted to you. The Licensor will not be responsible if the contents of this disc does not fit the particular purpose of the Licensee. The sounds provided are licensed "AS IS" without warranties of any kind. Neither the producer, nor UEBERSCHALL, nor any distributor of UEBERSCHALL products can be held responsible for any direct or indirect or consequential loss arising from the use of this product in whatever form. a) Use them in any type of music production, for example: making records, remixes, commercials, jingles, commissioned pieces, soundtracks for film, theatre, library music, musicals, computer games and multimedia. b) You may modify the sounds. c) lend, rent, copy, duplicate, trade or resell this product or its contents (also modified contents). This is strictly prohibited. d) upload or download this product, or any of the sounds on it, to any database, BBS or server. In effect, any such action is piracy, is therefore illegal, and will be prosecuted to the fullest extent of the law. We will show no mercy with pirates when caught. e) sell the product second hand or use any sample, loop, or sound from second hand products legally in your musical production. f) offer samples, loops, or sounds from the content to a number of clients in a commercial studio unless you have a Multi User Licence. Contact us at www.ueberschall.com for more information on this. g) making music or sounds that will be licensed or sold as Sound Clips, or other Sampling products. h) the individual sounds cannot be used on their own as music, background noises or Sound FXs in computer games, multimedia productions, music releases or commercial jingles (whereby these examples listed comprise a representative but not exhaustive list). This License shall be governed by and construed in accordance with the laws of the Federal Republic of Germany. If for any reasons a court of competent jurisdiction finds any provision of this license, or portions thereof, to be unenforceable, that provision of the license shall be enforced to the maximum extent permissible so as to effect the intent of the parties, and the remainder of this License shall continue in full force and effect. Should you have any more questions or comments concerning this license, please do not hesitate to write us."